Spring is about renewal. And nothing will give a shine to a man like a fresh haircut. 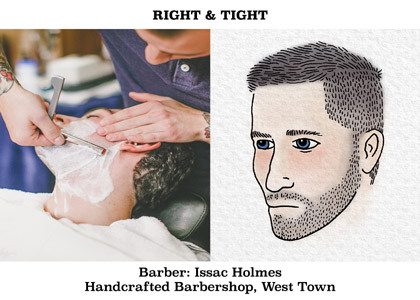 Below, a few important ways to talk to your barber about getting shipshape for the season. 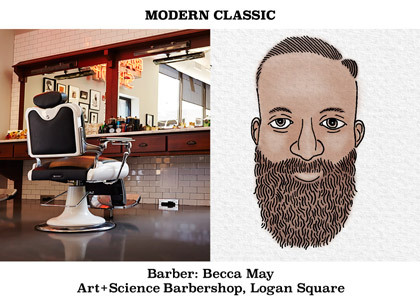 Style: A play on the high and tight. Super low maintenance. A clean cut style showing skin on the sides, but leaving just enough weight on top to comb it over. What to say: High blend on the sides. Take the top down to 2-3 inches, depending on the hair type. Blend top-down from the crown, allowing the hair to go in a natural direction. Style: Wearable for the business man but can be toned down if need be. Sits in the classic category, but has a subtle modern twist and a little more versatility. What to say: Make clear how much scalp you’re comfortable with showing, whether at the back of the neck it’s a low taper or more short and militant. Keep enough on top for structure — you can wear it straight back or shave a side part in. Style: A relaxed look. You’re not forcing your hair into a specific shape. You’re letting it do what it wants to do. 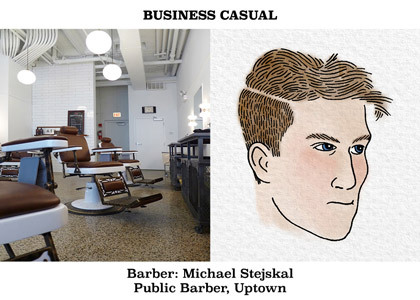 What to say: Ask for a low taper on the sideburns and neck. Faded to three at the parietal (where the top of the head begins to curve downwards). Leave it longer on top. Notch-cut for texture.